A few months ago, I saw a photo of Mexican Street Corn on Pinterest and it caught my eye. I had never really heard of this dish before (which is a bit surprising since I love Mexican food) and it looked so lovely. A short while later, my husband and I went to check out a new, local taqueria and on the menu under the appetizer section was…you guessed it…Mexican Street Corn. I was so excited to order it and couldn’t wait to dig in. Oh my, was it delicious. My husband even liked it although he cut his off the cob to make it easier to eat. 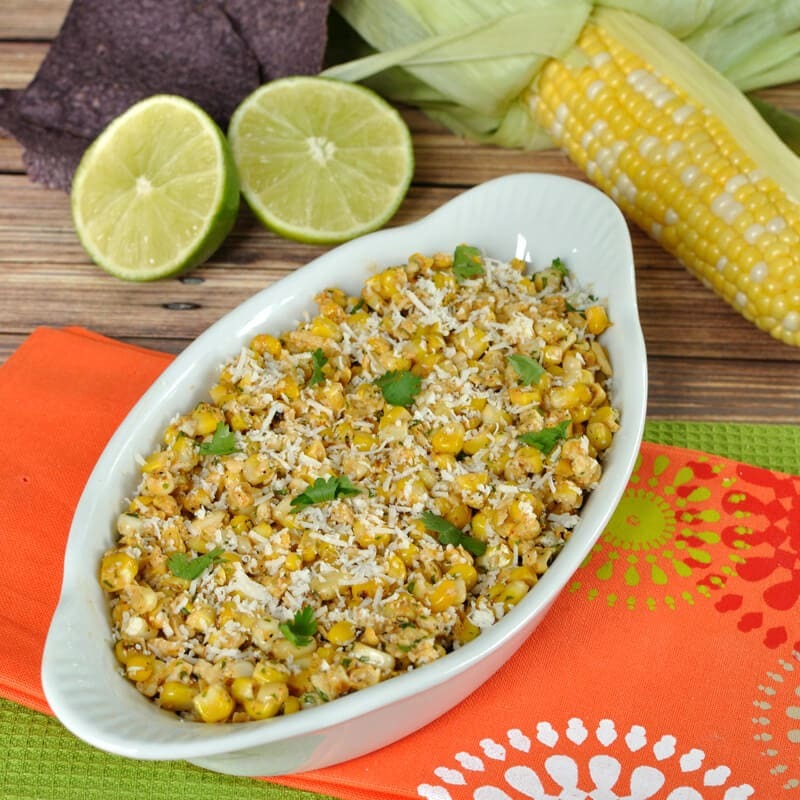 That made me think…how about serving this dish as a Mexican Street Corn Salsa to dip tortilla chips in? 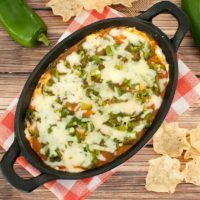 It seems like a double win to serve a Mexican side dish as a salsa…what do you think? 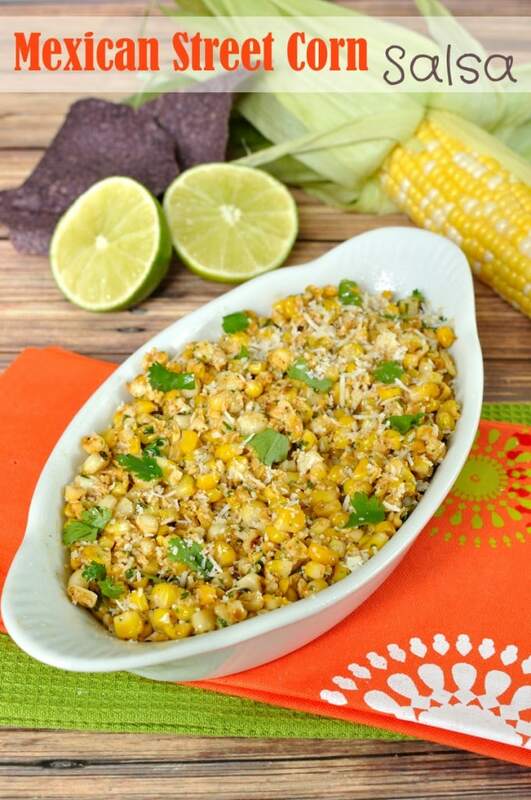 I made this Mexican Street Corn Salsa using fresh grilled corn on the cob. Grilled corn is my absolute favorite and I love the little charred kernels that you get from the grill. However, you can cook your corn on the cob using your preferred method if you don’t want to use a grill. I’ve been eating grilled corn on the cob with homemade compound butter for a few years now, but you better believe that this is one of my new favorite ways to eat corn. I just love the little bit of creaminess that the mayonnaise and crema adds and the slight heat from the chili powder. This Mexican Street Corn Salsa is very easy to make and it comes together in just a few minutes. Serve salsa immediately with your favorite tortilla chips. I used blue corn chips because I thought the dark color contrasted very nicely with the colors in this salsa. Recipe slightly adapted from: Kathy’s Kitchen Table. 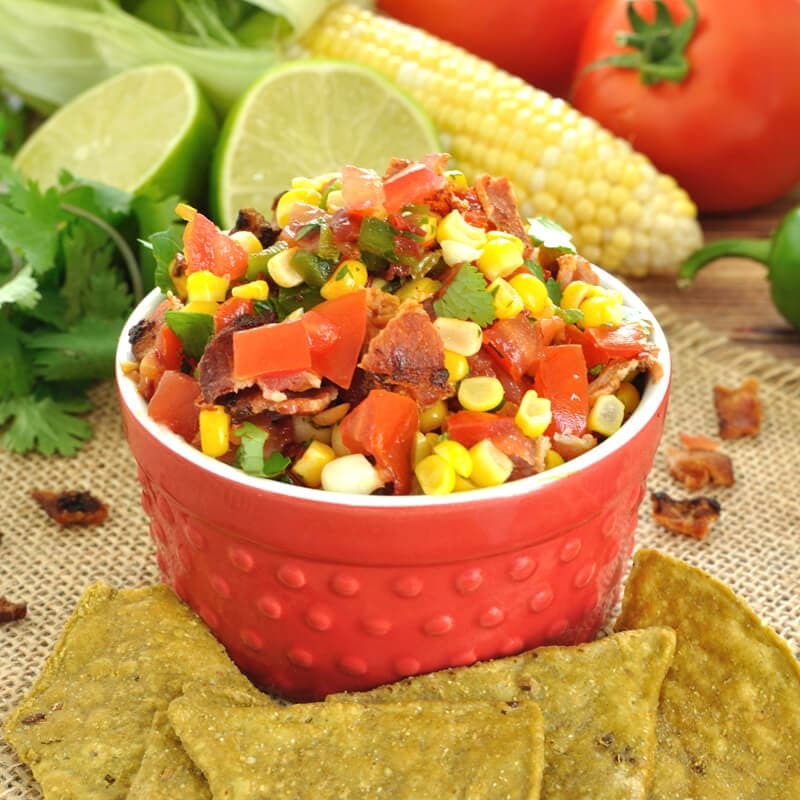 Easy corn salsa recipe. The same great flavor of grilled Mexican Street Corn. Serve this Mexican Street Corn Salsa with tortilla chips. Grill the corn using your preferred grill method (or a different method of cooking if you wish). Cut the corn off the cob and place in a medium bowl. 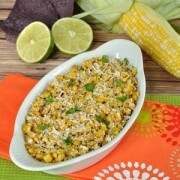 Combine the remaining ingredients with the corn and mix well. If desired, top with additional cheese and garnish with cilantro. Cotija cheese is a Mexican cheese that can be found in the specialty cheese section of most supermarkets. If you can't find Cotija, you can substitute feta. 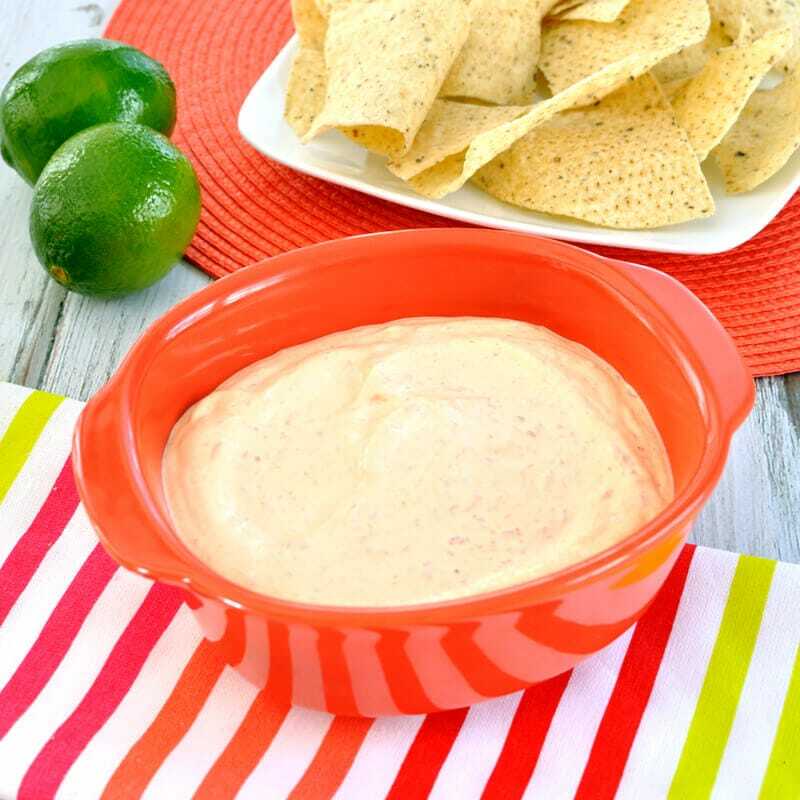 Mexican Crema is similar to sour cream and can be found in most supermarkets as well. I found it near the tortillas in the refrigerated section. Sour cream can be used as a substitute. 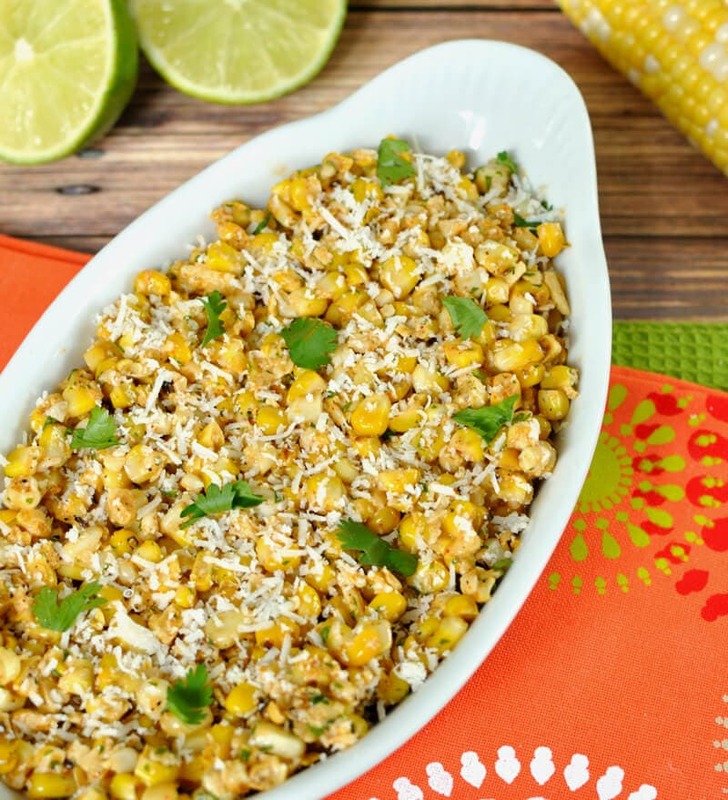 This is such a great idea to take Mexican street corn and make it into a salsa!